Stephanie Trigg, ‘Bluestone and the city: writing an emotional history’, Melbourne Historical Journal, 2017, 44 (1), pp. 41-53. Melbourne and Metropolitan Board of Works (MMBW) plans. 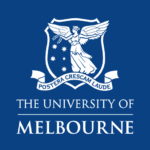 Stella Marr, ‘Historic records are not relics — they are events unfolding’, University of Melbourne Archives Blog, 12 May 2017. Red Cross WW2 card online. Welcome to My Marvellous Melbourne, a podcast on Melbourne’s history with Professor Andy May and the Melbourne History Workshop. Great to have you with us for another episode. Gretel’s going to kick us off with some snippets from ‘The Memory Bank’ that take us down to the waterside. 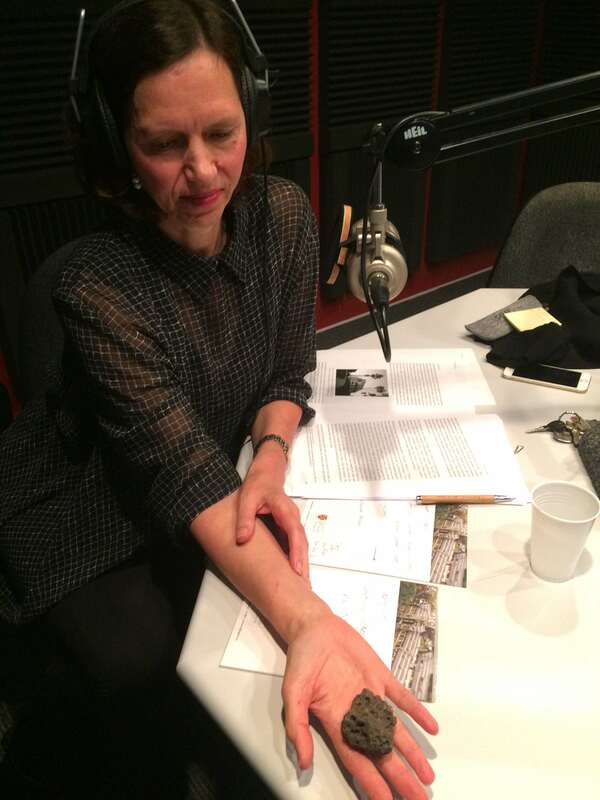 I have a chat with Stephanie Trigg, in our ‘It’s Elemental’ segment, about the history and meaning of bluestone in Melbourne’s psyche. And Helen rounds us up in ‘Archive Fever’ with an introduction to the Red Cross Archives. Welcome to ‘The Memory Bank’, where we keep an ear out for the voices of Melbourne’s past. I’m Gretel Evans. Often, we when want to discover more about Melbourne’s history, we disappear to libraries or museums in search of documents or objects that have survived from the past. But sometimes we just ask the people who lived it — just as we do when we want to find out about our own family history. Another way that history can be recorded and preserved is through oral history recordings. It’s obvious that not all experiences are captured in the written historical record, so it’s great when we have the opportunity to listen to people about their firsthand accounts. In ‘The Memory Bank’ we’ll get to listen to snippets from some fascinating oral history interviews. The National Library of Australia has an extensive collection of interviews with people from all over Australia, including some people who remember living and working in Melbourne. In this episode, we’ll hear from Henry Briggs who worked on the wharves in Melbourne. 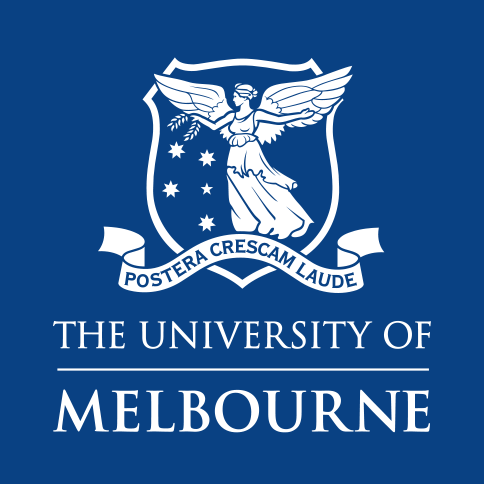 Melbourne’s foundation and development were very much linked to its maritime connections and capabilities. As its economy grew, so did its role as an important coastal and international port, especially in its early days when imports were essential for its survival and growth. As Port Phillip Bay was not a natural harbour like Sydney’s, the wharves stretched along the Yarra River, right into the heart of the city. In 1877 the Melbourne Harbor Trust was formed to address the urgent need of port improvements by widening and deepening the Yarra river, and rebuilding and strengthening the wharves along the riverbanks. Port Melbourne continued to be an important centre throughout many changes and developments in the shipping industry, but one major change which we will hear Henry reflect on was the period of containerisation which began in the late 1960s and early 1970s. Cargo was now shipped in containers rather than boxes or drums. Within a decade, 70% of the cargo was handled in this way. Port Melbourne’s adoption of the container revolution gave it a major boost in the national shipping trade—indeed it was the largest cargo port in the Southern Hemisphere. But the high costs of operating container vessels led to less frequent port calls, which then very much changed the character of the waterside. Henry Briggs was born in 1918 and worked for many years on the wharf in Montague and Port Melbourne. As a locality in South Melbourne, Montague had grown up as an industrial area from the 1870s, with a railway station on the Port Melbourne line from 1883. As historian Susan Priestley notes, its strong community identity was focused around shops, churches, primary schools, workers’ homes and hotels—and intense local rivalries were played out in larrikin gangs as well as on the sporting field. Henry’s family was involved in show business. In 1945, after the depression and the war, he started working on the wharf. In 1981 he was interviewed by Wendy Lowenstein and Tom Hills at his home in Port Melbourne, as part of the ‘Melbourne Waterside Workers Collection’. You can hear the entire interview through the National Library of Australia, but here we can listen to Henry recalling early details of his life growing up in a family involved in show business, his early education and life experiences in the suburb of Montague (which as a residential locality more or less completely disappeared after World War II). And then, we hear his subsequent reflections on what it was like working on the wharves, and how much it has changed. Henry: Well, where was I born, now I got an idea it was on a pitch at Carlton. We never had a residential address. Mary: What was the name of the show? Mary: And are they still going? Henry: No ah, it was a funny thing they died out, it was just like a tree dying, they … the sons and that … some never got married, those that got married had daughters and no one to carry on. Mary: And what sort of, what were your side shows, what did you do? Henry: Oh, merry-go-rounds, snake pits, boxing tents, motorbikes going around the wall of death. Everything, embraced almost everything in show business. Tom: It was a pretty big show, wasn’t it? Henry: Oh big show, big show, oh yes. Oh yes, they were in a big way as I said, in their day they’d be the biggest showmen in Victoria. Mary: Did you go to school? Henry: I only done … I think it was approximately, it might have been two and a half years of schooling, that’s the only the schooling I ever done. Because there was an agreement reached in them days that showmen’s kiddies … your father would take on and he’d learn you. So, okay the father he took it on alright but he said now look son he says … this business about, I think it was algebra, history and everything in them days. He said all you want to do in life, he said, is be able to read and write. Well I could always read and I could always write, he taught me nothing else. And that’s, that was about the limit of my education. Mary: And when, how long were you with the show, I mean did you have a home, a home in a suburb of Melbourne? Henry: We used to live down in Montague, at the time. Oh, there’s episodes there, … one of the funniest ones I could recall down there is when we had a bull, ’cause it was the biggest bull in the world. Henry: You take that for granted, that’s showman’s. It was a large bull but it probably wasn’t the biggest in the world, but you bill it as the biggest in the world, that’s showman’s, that’s what you call Showbiz. And that run amok down there once and it charged the back of the house and its head and shoulders poked right through the back here, so we’re in the kitchen — pulled half the back of the house down. Mary: Montague was a waterfront area, was it? Henry: Oh yes, always has been, yes. Mary: And, and what did a lot of wharfies and that sort of thing live down there? Mary: You always wanted to go to the wharf? Henry: Oh it was always in my mind to be on the wharf ’cause I used to sit down there as I said and we had nothing and the wharfies’d sit round there, you know. And they say I got a job there, how much they got, it seemed to be a fabulous amount of money to me which it wasn’t really. But I suppose it was in the depression. And I thought well I want to become a wharfie you know but it took a lot of, you know, what’ll I do. Mary: Wharfies are very generous people, aren’t they? Henry: I would say very generous. I don’t know about today, I could not say the modern day wharfie, I don’t know. Tom’d know more about that than me, because when containerisation started on the Melbourne wharves that was the death knell of the waterside workers, that was the death knell. Twenty years from now if you are, there wouldn’t be much I could tell you about personalities. About the skills. All the skills was erased from the waterfront. People used to take pride in their flour stacking, sugar, shortening the snotter. You’ll never see again on the wharves where a ship will be in working five hatches at once and all the hatchmen there like a ballet dancer pirouetting with all their fancy motions some had, all this. That’s all gone. The wharf has gone. Containerisation was the death knell of the wharves as Tom knew and as I know it. Now, it’s nothing. I could take my four little grandchildren down there and do it. There’s no skills left on the wharf. The wharf’s gone as Tom knew it whether he realises it or not, it’s gone. Twenty years from now you couldn’t tell the stories about the wharf what I can tell or Tom more so than me, I’m a later version than Tom, on the wharves, because you were so close knit on the wharves and you walk around the wharves and you knew everyone. You work seventeen men gang. Eight below, six in the wharf, three deck men and in between your slings you was down. You discussed your problems with each other and you found out the weakness of each other. Or he’d feel you out, and you could find your weakness. You say ‘Lay off him, don’t mess around with that bloke, he’d put you on your seat as quick as look at you’. And it took that intimate relationship we had Tom. Tom, you haven’t been on the wharf since containerisation? Henry: It’s not there now mate. Henry: It’s gone. They’re a different breed of men. Gretel: There’s showbiz there, in that old Australian voice. There is also the camaraderie, passion and poetry of work, and an intimacy about being in the room with Henry as he talks to Wendy and Tom about his life working on the wharf. You can listen to the entire interview with Henry online through Trove and the National Library of Australia. Welcome to ‘It’s Elemental’, the segment where we get down to basics in terms of the way the city is made up, both in its environmental and natural form, and its built form as well. It’s a real pleasure to have with us Professor Stephanie Trigg. Stephanie is the Redmond Barry distinguished Professor of English at the University of Melbourne and in fact a Chaucer scholar in particular, but today we’re going to lure her away from Canterbury for a moment and up some of the backs lanes of Melbourne. 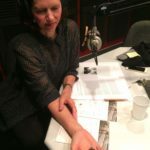 Stephanie’s got a long-term interest in the history of Melbourne’s changing relationship with bluestone and in a recent article she wrote about this relationship that Melburnians have with bluestone as a passionate one. And I know that passions and emotions are things that Stephanie’s particularly interested in. But just stopping there for a moment, Stephanie can you explain to us how can we have a relationship with a rock? Stephanie: Rocks are notoriously important affective charges — think about Stonehenge, one of the most popular British tourist sites — and in the context of Melbourne bluestone is both, it’s under our feet every day, most of us walk along bluestone. We look down bluestone laneways, we have bluestone foundations in our houses especially in the northern and western suburbs, and a lot of our most important Colonial buildings are made out of bluestone as well. So it’s a really strong part of the visual identity of the city and that makes it easy for us to have an affective relationship with the fabric of the city in that sense. It really defines our sense of Melbourne as a glorious city, as a city with a strong heritage and as a city that is very distinctive visually. Compared for example to Sydney’s famous sandstone which is all golden and bathed in beautiful light and seems to bespeak Georgian civilisation even though it has a strong undercurrent of a penal colony. Melbourne’s bluestone is dark, it’s gloomy, people kind of love and hate it at the same time, so it’s a really rich emotional site. Andy: So if we did a kind of vox pop in the city and stopped people and said ‘bluestone’, what are the first sort of five words that come to mind? Would it be that kind of sombre, dark, I guess emotional response, that sort of, the kind of unsettling response almost that you have when you think about prisons and institutions and so on. Would it be mixed also with this sort of newfound heritage kind of consciousness that this is something wonderful and something to be celebrated as a Melbourne thing? Stephanie: I think on reflection that’s where people would end up and I think probably one of the most dominant things in the CBD itself would be the idea of a bluestone laneway. And that figures the sort of, the kind of the cross currents across the main streets — Bourke, Collins, Swanston, Elizabeth — those bluestone laneways that thread behind, they are the secret back passages of the city, that’s where waste used to be collected and when trash is still collected, but of course now it’s a site of tremendous urban renewal and again that’s something that Melburnians take very seriously as a sign of their cultural urban renewal, that’s where the best coffee is found, that’s where the little jazz bars are, that’s where the independent fashion designers are. But that is also where we can get glimpses of the city’s past. Andy: Was the lane’s re-invention into this century as a great place and a feature of Melbourne, did that help bluestone become a bit more, take on different sort of different affective tones to it? Stephanie: That’s interesting. It’s a bit hard to unravel the history of all this. The bluestone is so distinctive and so people like it for that reason. It’s very difficult to walk on. It’s very difficult to walk on in high heels. It’s very difficult to ride a bike over. It’s very difficult to wheel a pram or a wheelchair over, so there are all kinds of practical impediments to the beauty and utility of bluestone, so sometimes the council makes a real effort to relay the bluestones. That in itself is controversial, even though sometimes that’s better than just completely ripping them up and replacing with asphalt which would have been done in the 40s 50s 60s 70s I guess. Now we’re tending more to preserve the bluestone, but to relay it so that it’s flatter. That can make it both more practical but it also destroys a little bit of what people actually love about the bluestone, that it seems to be something that is handmade, that is artisanal in some way, that seems to fit Melbourne’s ethos as a distinctive Melbourne city. So, it’s a really mixed blessing. The councils now often mandate the keeping of bluestone and the relaying of it, but sometimes there’s now even a shortage of bluestone, so sometimes Melbourne has had to import bluestone from China, for example, to build around the MCG to retain the characteristic of Melbourne as a bluestone city even though it’s not the local stone that was originally used to make the city. Andy: I’m interested in the way that stone sits under Melbourne’s consciousness but also physically in relation to a kind of north south divide even. So, when we think of those suburbs like particularly Brunswick and Northcote and Footscray, these are places where a lot of the stone came from for building Melbourne? Stephanie: Exactly. You’re right, it’s a north-south and almost an east-west divide as well, so the bluestone that we built Melbourne on came from volcanic formations from the north of Melbourne and also the south-west down near Warrnambool, Tower Hill. So, there’s kind of two lava streams that kind of flow towards Melbourne and they kind of stop at Dights Falls where the Merri Creek meets the Yarra River. It’s very interesting, you can go down to that point, stand on one side of the river on bluestone and look across to a completely different geological formation which is sedimentary rocks on the other side of Dights Fall. So, the bluestone is really a north-west and south-west phenomenon. So yeah, Williamstown also, a really important source of bluestone. We’ve done a little preliminary plotting of churches, which are often made of bluestone, and the vast majority of bluestone churches are to the north, the west and the south-west. East and south-east they tend to be made much more likely of brick. Andy: as the kind of archetype of that rough-hew rusticated gothic style bluestone institution. What strikes you there in terms of Melbourne’s relationship with Pentridge as read through stone? Stephanie: That’s a great question. When I first started talking about the bluestone project the first question from my friends would always be ‘are you going to be write about Pentridge’? So, it does seem to be the real bluestone landmark and it figures very largely in what I think I’m going to call the ‘Bluestone Imaginary’. When you think of bluestone you do tend to think of that, what’s called Baronial gothic architecture. So that prison was erected in the 1850s, and it was kind of the walls were actually built by the prisoners so it’s got this terribly ironic dark history. It was actually made by convict labour to house to house the convicts, and it rose up over the plains of Coburg and it was just hated by the local residents. Andy: I think that sense of the hardness of stone obviously sort of naturally, but also the labour that’s gone behind extracting and dressing and cutting and carrying and carting and breaking, it’s that whole industry around quarrying and breaking of stones is something we’ve kind of lost touch with and lost our knowledge of in a sense, but the labour that went into building roads and walls and so on is extraordinary. The prisoners at Pentridge built the prison. Stephanie: They were first lodged in stockades — these are kind of like really, in huts really — and so then they’ll be some chained up and taken out to work on the walls. After while there was made a decision that prisoners were not going to be allowed to work on the external walls, just on the internal walls of the prison, just for security reasons. Andy: I think some of those early stockades were actually in … there was a Stockade called the Collingwood Stockade in Carlton. Andy: And where Curtain Square now is, was actually the site of a bluestone quarry if I remember correctly. Stephanie: Indeed, and under the Lee Street Primary School there were recently excavated I think ten underground bluestone prison cells. Can you imagine? Being sent to live in solitary confinement underground in dank dark grey bluestone and now it’s a primary school. Andy: The hulks might have seemed like a better alternative. Andy: But I love the way that the quarries and stone is the kind of footing to Melbourne. A way that you can see that original landscape is by looking at some of the old Board of Works maps through the State Library website, that date from around the 1890s 1910s and a lot of contemporary parks and shopping centres are built on old quarry pits and it’s a wonderful way of looking at your suburb and seeing if there are any old quarries around. There’s an interesting character that you’ve written about Stephanie, John Price, who was I think a particularly hated Inspector-General of Prisons and someone that Marcus Clarke modelled a character in For the Term of His Natural Life on, but he had something of run in with bluestone didn’t he? Stephanie: He used to be the superintendent up at Pentridge, so he was in charge of the prisoners cutting and hewing up bluestone, sometimes to make blocks for prison walls, sometimes the prisoners just had to cut the bluestone up to make road fill. They used to have to produce a square, a cubic yard of road metal in a day just by breaking it up. But then the more skilled prisoners could get slightly better rations by learning how to chisel the blocks, chisel the bluestone into big blocks, and they would dig it up out of what is now Coburg Lake. So that’s again one of those great ironic sites that is now a beautiful picnic ground but it used to be a kind of a bluestone depository, a bluestone mine, and then the bluestone would be lifted out and carried up to the prison to make for the walls. When the prisoners were recalcitrant — strangely enough they didn’t always want to be breaking stone every day — and they would sometimes then be chained to a big bluestone which was later called John Price’s stone. It was huge and it had a kind of a bolt in the middle and the prisoners would be shackled to it with their hands behind their back and they would be punished and they were given lazy rations, so their food rations would be reduced because they were unwilling to work on the stone. And this hatred of John Price really took a kind of a strong form both at Pentridge and then also down at Williamstown. And there was a dreadful account of the murder of John Price. He’d gone down to inspect, there was some insurrection amongst the prisoners again being reluctant to work. Can you imagine, you know, working in the long heat, long hours of the day cutting up bluestone, a dreadful, dreadful job. And he made the mistake of turning his back on the prisoners at one point having being sent down there, gone down there to discipline them. And someone of the prisoners picked up a clod of earth and threw it at him. And then another picked up a bigger clod, and then more and more prisoners picked up stones that were lying around around the quarry and then eventually he was he was killed. And at the inquest various accounts, I read through all of these accounts looking for the signs of the bluestone role here and it became very very clear that when some bluestones were actually brought into the inquest with the blood and the hair of John Price still on them, mentioned as bluestones. So, it was, I just wanted to get that final confirmation that it was actually a bluestone that had killed him — so there’s a beautiful ironic poetic history. Andy: … extraordinary sense of the revenge of the stone, symbolically. Stephanie: Well very interestingly yes, because a lot of the, a lot of the current discussion about material culture, about objects, about the life of objects in the world, often gets quite excited about that idea of the agency of the material world and this is clearly a poetic form of agency but it does seem that bluestone you could say had its own revenge on John Price as well as the prisoners having its revenge. So that’s quite a good story for thinking about, you know what we’re calling the affect or the affective charge of bluestone. And I guess in terms, in comparison to something like an emotion where we would think about hatred or fear or envy, affect tends to be somewhat less intellectualised as a concept, somewhat less linguistically bound, and often much more closely associated with a bodily response. So, it’s sometimes seen as being more powerful than an emotion because it sort of somehow gets under your skin. I think that’s quite a good way of thinking about our relationship with bluestone and other forms of, other forms of stone or the materials of the natural world, that we do have a kind of a, it’s skin to stone, it’s that kind of moment, that I think is really important when we’re thinking about what I’m calling the affective charge of bluestone. Andy: Yeah, I love that sense of, as you say, the materiality getting under our skin kind of physically and symbolically. And the way that changes over time of course is fascinating and the sense that bluestone kind of frames Melbourne through, through the geometry, through the lanes and the patterning but also in this in this sort of deeply psychological way. Stephanie: It’s so, it’s so weird, to me it’s quite contradictory. If I think about the Melbourne, you know Hoddle’s grid of Melbourne, all those geometric lines on perpendicular right angles cutting across each other, then I think of lines of bluestone, but then when I think about laneways, again I can, in my mind I see the uneven, unevenness of those stones, and the way that they move and that they jump up, they don’t stay flat, they jump up, they are hard to ride over but their edges are actually quite soft, it’s a, it’s a stone that softens and ages, so even though the prisoners or stonemasons might carve sharp edges into it, the stone actually becomes quite soft, giving the lie I think to those Gothic dark penal associations that we have with it. And also, the stone varies tremendously, the stone that we use for building, they prefer the stone that, it’s volcanic stone that cools very slowly, so it doesn’t have bubbles and lines and holes in it, that’s the highest quality stone. But I have with me, I’m just picking up that now to hold it — give you my affective touch of bluestone. Andy: I was wondering whether you had a pet stone. Stephanie: I have a pet stone and it’s a piece of basaltic rock that I picked up from the Merri Creek, next to my house in Fitzroy, and it’s deeply pock-marked, it’s full of holes, you wouldn’t use it for building, it would crumble, bits of it come off on my fingers all the time and this is a piece of bluestone full of holes because it cooled, it must have fallen very quickly into water and cooled quickly, so it’s the complete opposite of the smooth stones that would you use for example on the National Gallery of Victoria. Andy: I love that idea of the sort of biography of objects, that objects live different lives, and stones are the same. You must have come across some interesting examples of people collecting stone or as a kind of a memorabilia almost of connections to places or buildings. Stephanie: Absolutely. One of my favourite stories is from one of the curators at Melbourne Museum who moved from the western suburbs to the eastern suburbs and when she moved she took with her one of the bluestone pitchers from the laneway outside her house as a reminder of what the western suburbs felt and looked like, yeah. And there are lots of stories of people stealing bluestone too. Somebody else told me, Delia Falconer who wrote that wonderful book about Sydney and she’s got some wonderful things to say in that book about Sydney sandstone. She said that when she was living in Melbourne, when she first moved in there was a council tent set up on the bluestone lane way beside their house and she thought, oh well there they’re renovating the bluestone laneway, but in fact it was people stealing all the bluestone pitchers. Andy: We can’t end without asking you where maybe some of your favourite bluestone buildings or places are in Melbourne. If people wanted to go and look and get that sort of visceral sense of stone, what’s a good place for them to go? Stephanie: One of my favourite bluestones sites is a four-storey building down in William Street which was originally built as a, as a storehouse for wool, and it’s quite an imposing building, and to me it’s reminiscent of the Medici Palace in Florence. The Medici were also wool merchants originally so I think that there’s some kind of link between the architecture of this wool storehouse, a very grand building, and Renaissance Florence. So, I think bluestone is both a really local stone for Melbourne but it does have this longer, a longer cultural history as well. Andy: That brings us right back to the origins of Melbourne, the mercantile — all those warehouses, the bluestone warehouses that lined the western end of the city, Flinders Lane and so on, so many of them now of course are not with us but it does take us back to the, to the economic foundations of Melbourne as an importance entrepôt to the region. So, thanks Stephanie for putting a bit of stone into our hearts and I think we’ll be able to walk around Melbourne with a new sense of that emotional landscape that stone sort of brings to the city. Stephanie: It’s my pleasure. I’m also collecting people’s stories about bluestone. If anyone would like to get in touch with me with their further anecdotes or pictures or stories about bluestone, I’d love to hear from everyone. Welcome to the first My Marvellous Melbourne ‘Archive Fever’ segment. The title, for those in the know, isn’t a reference to the work of the same name by well-known French philosopher Derrida. It is simply a reflection of how we at My Marvellous Melbourne love archives. Although you’d be forgiven for thinking it wasn’t directly related to the subject of our first segment which happens to be the Australian Red Cross Archive. I’m Helen Morgan and I’m an archivist as well as an historian with an obsessive new interest in family history and tracing relatives through archives, and the Red Cross Archive ticks all those boxes. With me is Stella Marr, an archivist at the University of Melbourne Archives where the Red Cross Archive is now housed. Stella wrote a great blog piece about the archive titled ‘Historic Records are not Relics — They are Events Unfolding’, which is certainly something I found in my family history research, so it’s interesting to hear a bit more about the context and scope of this particular collection. Stella: The Red Cross National Office and Victorian Division Collections have been acquired by the University of Melbourne Archives and these records cover the first hundred years of this historic organisation and map its vital contribution to medical and social welfare services, both in Australia and internationally. The collaboration that’s made this possible to bring these records to the University of Melbourne will enable greater access to these records and our ability to use the really significant potential within them to investigate some quite complex subjects. I think it’s important to remember that the reason why the national office of the Red Cross Society is in Melbourne is because Melbourne at that stage in 1914 was the capital not only of Victoria but of Australia. So, the Defence Department was on St Kilda Road, the Governor General was also on St Kilda Road, and it was only four months prior to the Declaration of War that the new Governor General Ronald Munro Ferguson and his wife Lady Helen actually arrived in Australia. What’s really interesting is that many of the women who were in the leadership of the Australian Red Cross had leadership roles already. So Lady Helen was the founder and president of the Fife branch of the British Red Cross and so as soon as the war was declared she, one, not only was in a position and was really comfortable with authority, she also had this enormous house at her disposal. So she established what was then the Australian branch of the British Red Cross and she took over the house as the national headquarters. So, the grand ballroom was an enormous warehouse of goods — pyjamas, socks everything, bandages, everything that would be required to treat patients, to assist hospitals, and also packages for POWs. What we currently have and what is available for the public to read online — because all of our collections are listed online — would include the executive correspondence from both the national office and the Victorian division. There’s annual reports, there’s meeting minutes, there’s publications. The bureau, the missing bureau, and that includes the 60,000 cards relating to mostly military persons but sometimes civilians who the Red Cross were facilitating the flow of information between the army service personnel back to families, so there is a vast variety of different record types within this collection. We also have posters and audio, but those two are still being processed and having conservation treatment on them. They were able to provide a service that the government and the army couldn’t provide. Many of the relatives didn’t have any contact with the persons who went into service for maybe two years. All the letters they sent, all the enquires they made of the army came to nil, so the service that the Red Cross provided was central to morale both at home and in theatres of war. That lifeline that they provided between POWs and their families who actually felt like they were involved in the continued welfare is a feat that we can’t underestimate. In Melbourne there was a very early established philanthropy and social welfare movement, all sorts of different movements, and we have many of their records in the archive. Temperance Unions, social work, charities, all those sort of things, and I think if you can view the Red Cross as part of that, you get a really interesting picture of the development of social welfare services in Australia. The very early philanthropy in Melbourne, which many of our established families were part of, was really male centric and as you move forward and as these organisations like the Woman’s Christian Temperance Union and the Red Cross develop, leadership in these very social organisations are opened up to women. Our service is open to academics, historians and the general public. Our collection is listed online. The addition of the Red Cross for me has changed my view of the collection as a whole. What it really brings into focus for me is the interrelationship between activities, so the nexus between government policy (such as the administration of PNG), mining interests (we have the Bougainville Copper Mining Limited papers), and then the Red Cross in terms of their relief and development, refugees from Bougainville after the civilian uprising. I think seeing that cause and effect between collections — and the same can be done with East Timor, because we have the Malcolm Fraser collection, David Scott collection, CICD which is a really vocal in the history of East Timor independence debate — those interrelationships between archival collections are for me the most exciting and with the Red Cross given how sweeping its remit has been over the years and it has changed certainly through wartime and peacetime, that is for me the most exciting thing, and to see how we can use resources like the Australian Women’s Register to tease out those stories and show how these things connect. The Red Cross is a lot more than world wars and I think it’s very important for people to see the immense diversity that they have achieved in their service, from Cyclone Tracy to development projects in the Asia-Pacific region. One of their current campaigns is around working with the UN to prohibit and eliminate nuclear weapons. We have always had war and the Red Cross are so aware of the impact of nuclear war they’ve now taken a very big stance and in this current climate of renewed bluff and missile launches I think it’s really sobering to see an organisation which has fought for so long to care for people now actually advocating for that type of weapon to be eliminated. Helen: Stella described the archive as creating an opening of the nexus between government policy, consumer demand, business interests, civil war, refugees and humanitarian organisations. And I’m sure you’ll agree it really does give us a unique view of these aspects of our history.